Center City Dental was established by Dr. Joseph S. LoParo II in 1980. Dr. Michael J. Bossolina, Jr. took over the practice in 2018. Our office is located in the heart of Uptown Charlotte surrounded by the Knight Theater, the Bechtler Museum of Modern Art, and the Mint Museum. While many patients walk to our office, we have plenty of parking. The parking garage is on Church Street immediately on the left after the sign for “400 South Tryon” which is next to Rhino Market. Our address is 400 South Tryon Street, Suite M-4 in Charlotte, NC. If you would like to make an appointment or have any questions, please call our office at (704) 376-5950 or Contact Us. Dr. Michael J Bossolina, Jr. grew up in Orange County New York. He graduated from the State University of New York at New Paltz with a major in Sociology and dual minors in Chemistry and Biology. He completed his dental education in Michigan at the University of Detroit Mercy. After graduation he proudly served in the United States Navy as a Lieutenant and Dentist for four years in Corpus Christi, Texas. 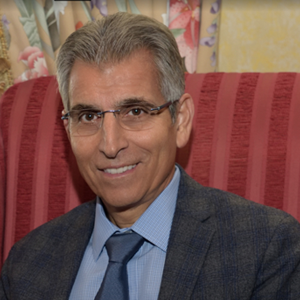 Dr. Bossolina moved to Charlotte in 2015 and has been delighted with the city ever since. He enjoys working out, hiking, yoga, traveling, supporting local businesses, and spending time outside with his dog. Dr. Joseph LoParo has been providing a complete range of dental care services to thousands of Uptown Charlotte patients since 1980. His renowned reputation has been built on the genuine care and concern that all of his patients experience and enjoy. Patients also benefit from his continuous introduction of advanced techniques and technology to improve care and comfort. These include: Chao Pinhole Gum Rejuvenation, dental specific laser procedures, digital scanning and much much more. His track record demonstrates proven results that benefit the practices valued patients. Dr. LoParo has extensive affiliations and good standing with all national, state and local dental associations. He also enjoys teaching part time at Rowan-Cabarrus Community College's Dental Assisting Program.